Philomena can barely contain her joy now that her sight has been restored! 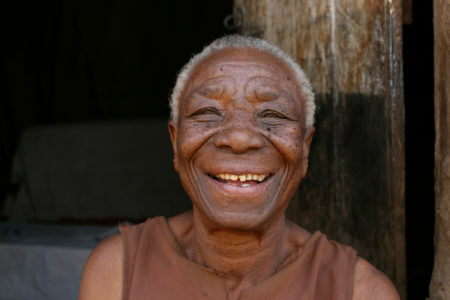 82-year-old Simiyu and his wife, Philomena, live in the agricultural town of Kitale, Kenya. They have five children, four daughters and a son, who live away from home. Both Simiyu and Philomena struggled with deteriorating vision for years. Eventually, Simiyu went completely blind. The already struggling couple was suddenly facing a future bleaker than they had ever imagined. Philomena had very little vision left in her left eye, and she knew it was only a matter of time before she joined her husband in the dark world of blindness. Simiyu went completely blind in both eyes. What would the couple do? Simiyu and Philomena were devastated. Their hope turned into despair. But they had no choice but to continue eking a living with the fast-dimming vision of their left eyes. Finally, Simiyu went completely blind. He was forced to leave his casual work at a local dairy farm, cutting the couple off from half of their income. In spite of this, every Sunday Philomena would take her husband’s hand and, with her precious remaining vision, guide them both to church. Little did this couple know that their lives were about to get a whole light brighter. One Sunday, medics from Kitale Eye Unit conducted a free eye screening at the local church. 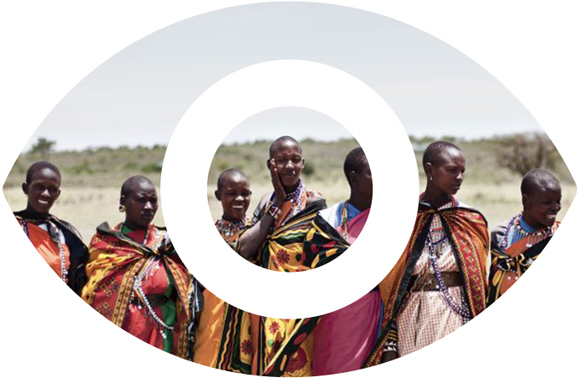 Simuyu and Philomena were present, and both were identified with cataract in their left eyes. In no time, they were booked for sight-restoring surgery at Kitale Eye Unit. Philomena took Simiyu’s hand to lead him to the car taking them to the Kitale Eye Unit for their surgeries. When the fateful day came, the Eye Unit car was sent to pick them up. Philomena took her husband’s hand as she had done so many times before. They were both optimistic but apprehensive of the outcome. Thankfully, Bernard, a community health volunteer, did his best to reassure them that all would be well. They couldn’t have found someone better to calm their fears. 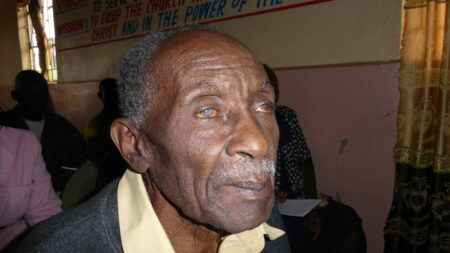 After all, Bernard had been blind himself before having his sight restored with cataract surgery. And so the couple underwent cataract surgery on the same day. After their surgery, a community health worker followed up with the couple to ensure they received quality post-op care. Simiyu and Philomena’s eyes have healed, and now they can see clearly! On her part, Philomena is already thinking about their next phase of life. She would like to save up to start a small business. Simiyu agrees. “I would like to join my wife in starting a small business so we can become completely self-reliant,” he says. All of this was made possible by compassionate people like you, who gave from their hearts so couples like Philomena and Simiyu could live with hope and dignity. Thank you so much! 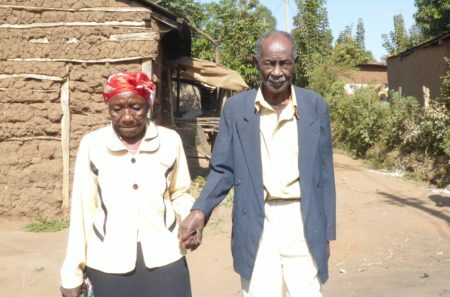 There are thousands of other couples like Philomena and Simiyu who need your help. With Valentine’s Day approaching, why not show your love by giving the gift of sight to others? Your gift will change lives and give people hope for a happier brighter future. You can even send your sweetheart a Valentine’s Day eCard and give the gift of sight at the same time! In developing countries sight is life.